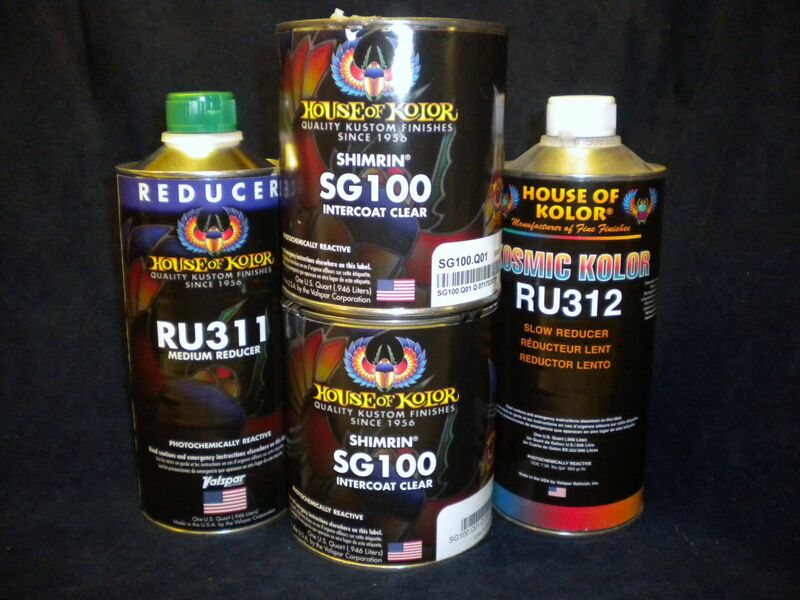 HOUSE OF KOLOR SG1OO is used for mixing Kandies & as an 'intercoat' layer...........not to be used as a clear topcoat. 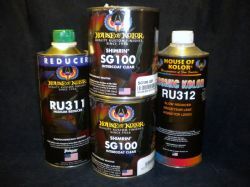 U.S. GALLONS & VOC REDUCERS BY PHONE, PM OR EMAIL ORDER ONLY. We still list the standard colours and prices, however as Shimrin 2 range and other new ranges appear these will be substituted for the standards as they become obselete, these will incur an increase in prices per unit. FA01 is designed to reduce the gloss of our acrylic lacquer and polyurethane enamel topcoats and clears. FA01 will not effect adhesion or hardness. You can vary the amount of gloss reduction (from 10% to 99%) depending on the amount of FLATTENING AGENT used. FA01 is great for undercarriages, frames and engine parts where high gloss is not desired, but a tough, durable finish is. To ensure proper adhesion of automotive paint to: plastics, metals, chrome, or a variety of other surfaces use our ADHERETO® adhesion promoter. ADHERETO® can also be used for between coat adhesion, when one paint has dried or for difficult sanding situations. Ready to spray right out of the can (no reduction required). Clear in color. AP01 for most plastics and metals.